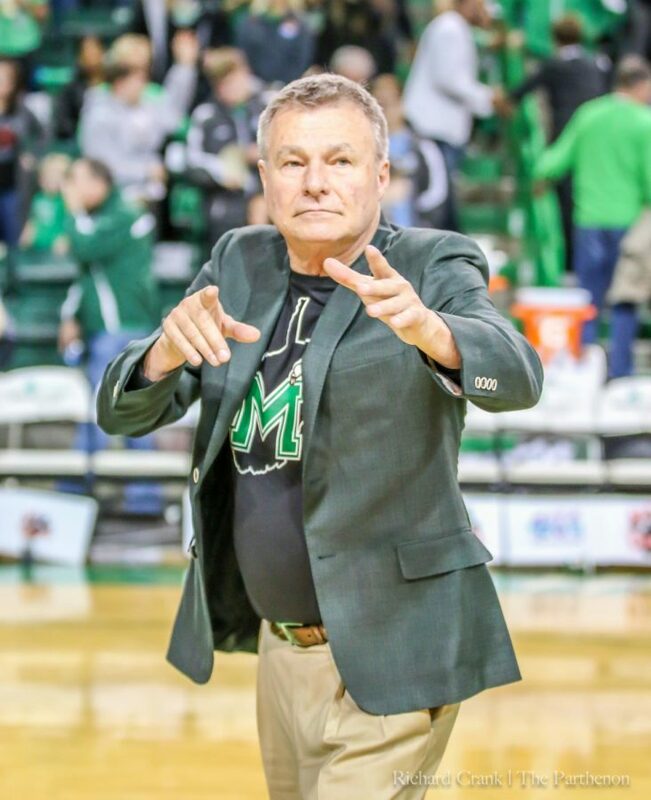 Dan D'Antoni has his squad at 5-0 in Conference USA play for the first time since the 2015-16 season. 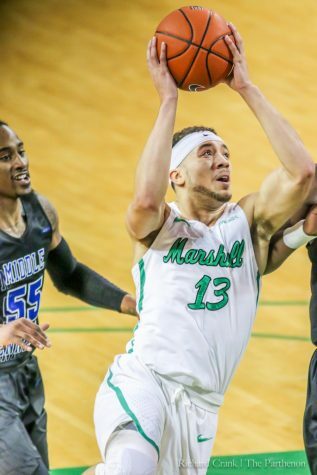 Marshall is the lone remaining unbeaten team in C-USA play. 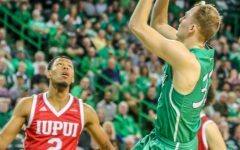 Marshall men’s basketball outlasted UTEP Saturday evening in the Herd’s first-ever victory in El Paso, Texas, 74-65. 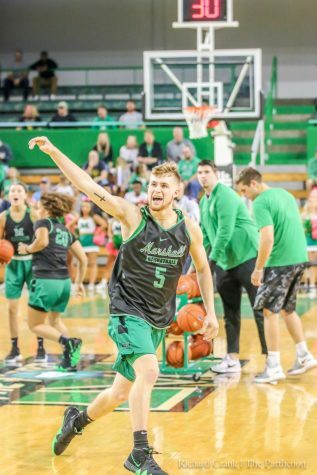 Not only did the Herd walk away with the win, but junior guard C.J. Burks reached 1,000 career points during the game. He finished with 16 points, while junior guard Jon Elmore led the team with 22 points, seven rebounds and five assists. Junior forward Ajdin Penava had 15 points and seven rebounds. UTEP freshman guard Evan Gilyard scored a team-high 20 points and was the lone Miner to reach double-digits. 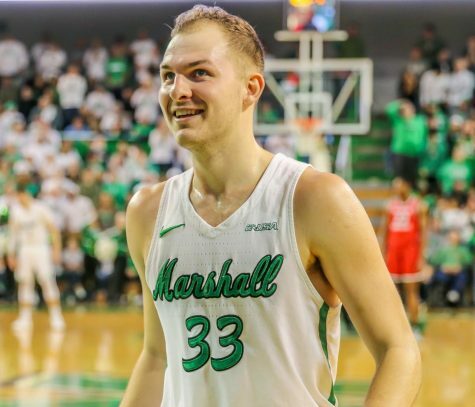 Marshall led for most of the game and never gave up the lead after Burks drained a 3-pointer with 12:06 left in the first. 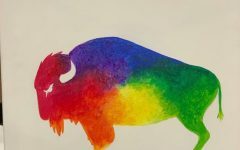 The Miners made a run at the beginning of the second half to bring the game within three, and later made it a two-point game when Gilyard hit a three, but the Herd held strong. 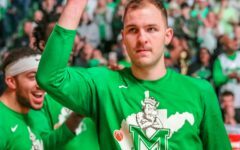 Marshall led going into the half 34-24, which was the fewest points Marshall allowed going into half all season. 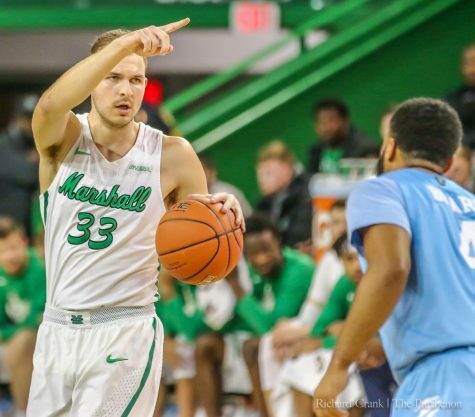 The Herd contained the Miners to 34.5 percent (10-for-29) shooting from the field and 16.7 percent (2-for-16) from behind the arc. 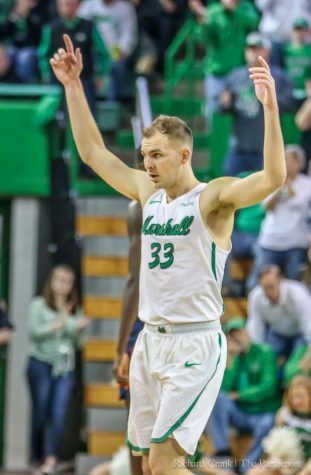 Marshall shot 42.4 percent (25-for-59) from the field and 28.6 percent (10-for-35) from behind the arc. 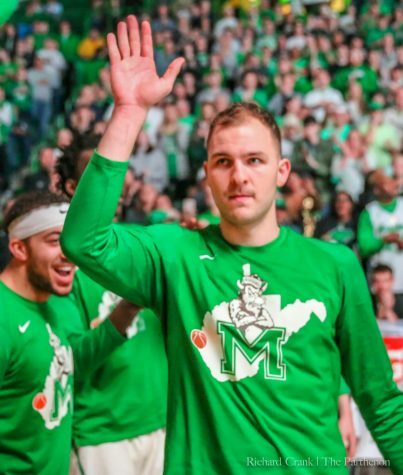 Marshall is now 15-8 (6-4 C-USA) and is tied for fourth in the conference. 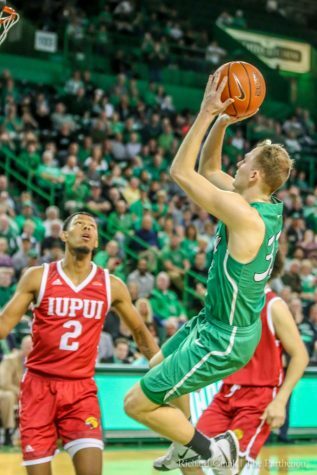 The Herd is home this coming week when it takes on FIU (11-13, 5-6 C-USA) Thursday at 8 p.m. and FAU (10-13, 4-7 C-USA) Saturday at 7 p.m. in the Cam Henderson Center.